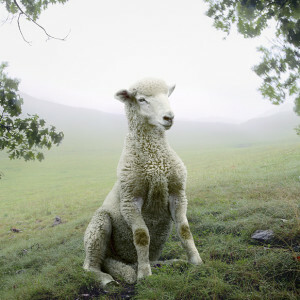 Simen Johan was born in Norway in 1973, raised in Sweden and lives and works in New York City. A solo exhibition, Simen Johan: Until the Kingdom Comes, was organized by the Frist Center for Visual Arts in Nashville in 2011 and traveled to the 21c Museum in Louisville, KY, and the Pollock Gallery at Southern Methodist University in Dallas. Johan’s work is held in the permanent collections of the Los Angeles County Museum of Art; Brooklyn Museum; Cleveland Museum of Art; Museet for Fotokunst, Brandts, Denmark; Museum of Fine Arts, Houston; Herbert F. Johnson Museum of Art, Ithaca, NY; and the Denver Art Museum, among others. He received a Saltonstall Fellowship in 2006, the Pollock-Krasner Foundation Grant in 2009, and the George A. and Eliza Gardner Howard Foundation Fellowship in 2012.